We congratulate the VC for having sat on this seat for two years now. If you were to appraise yourself, how would you say you have fared? Well, I will first of all want to thank God because without Him, we are nothing. The second thing I would want to do,while appreciating God, is saying that God has prepared me for this job a long time before now, hence daily activities and challenges that need attention are not strange to me. I have been exposed to bigger ones. What would you say are the major challenges facing the University? In other words, how has it been, managing the various components in the University? I think the very important thing is that one should have a vision, focus on your vision and refuse to be diverted from attaining your vision. I don’t think anyone taking up this responsibility should expect that there would not be challenges. Indeed, I see leadership as the ability to have a vision and keep on focusing on that vision, getting people to buy into that vision despite the fact that there may be some people who would not agree with that vision. I came in with a vision to make the Federal University of Agriculture, Abeokuta a world-class University. The University seems to be getting more international grants these days after that of the World Bank Africa Centre for Excellence. Can you tell us the secret? The secret is that we planned for it. One of the strategies that we put in place to make FUNAAB a world-class University is that: One, we set out to internationalise the University and we recognise that internationalisation involves being internationalised at home, building up an internationalised classroom, ensuring that the teachers operate in an internationalised environment, the curriculum and our delivery of teaching and learning are internationalised and for that, I should appreciate the Units of the University that have been doing this. Beyond that, when we talk about internationalisation, we also talk of internationalisation abroad. We have a Centre in the University, the Centre for Internationalisation and Partnerships, that we call CENIP. This Centre has been helping to promote the collaboration and partnership with other institutions, but I should mention that one of the Units of the University that has helped us to attain this, more than ever before, is the Directorate of Grants Management. This Directorate of Grants Management was established in January 2012 and within a spate of two years, it has been able to develop a culture of helping the community to seek for international grants and international fellowships. Through their activities, they make these grants available to all the staff within the University. Today, it is quite easy for us to gather people together within groups to train them on how to respond to some call for research grants and they would do that perfectly well. As a University in Nigeria, I think that we cannot also but recognise the role that the Tertiary Education Trust Fund (TETFund) has been playing, because TETFund has also supported our internationalisation effort. For example, through TETFund, both Academic and Non-Teaching Staff of the University now have opportunities to attend international conferences outside the country. If I could now come back to your original question, what have we done that has made it possible for us to attract so many international grants into the University? I think that I should appreciate the Academic Staff of the University, who are more than ever before, committed themselves to writing proposals. We, as a University have created the environment for them to be able to do this. For example, last year, we organised a Professors’ Retreat, where we challenged the Professors of the University on the vision of the University and their responsibility to promote mentorship within the system. I believe that it is the overall effect of all these that has resulted in our University attracting more grants now than ever before. As the President, Association of African Universities (AAU), how would you assess Nigerian Universities in terms of having global recognitions? I am a firm believer in a University fulfilling the vision for which it has been set up. Firstly, I believe that the vision of Harvard University is different from the vision of the Federal University of Agriculture, Abeokuta or that of the Obafemi Awolowo University, Ile-Ife. Each University should pride itself in its ability to meet its own vision. In the context of Nigerian Universities meeting their own vision, I believe that we can rate ourselves very well. In the context of Nigerian Universities doing research that are competitive world- wide, I think that we are doing very well. I also believe that our people are people who can adjust and do research in Africa. Throw them to other places; they would even thrive in greater measures. I want to give credence to our Universities and research centres for the great work they are doing. However, I still believe that we have not achieved the maximum that we should as African Universities. I wish that African Universities should be relevant to the development of their own people by doing research that would solve the problems of our nation and our Continent. I am still looking forward to that time when governments would look up to Universities, when industries in Africa would look up to Universities in Africa to solve the challenges facing them. We are yet to get there. We would get there by God’s grace. 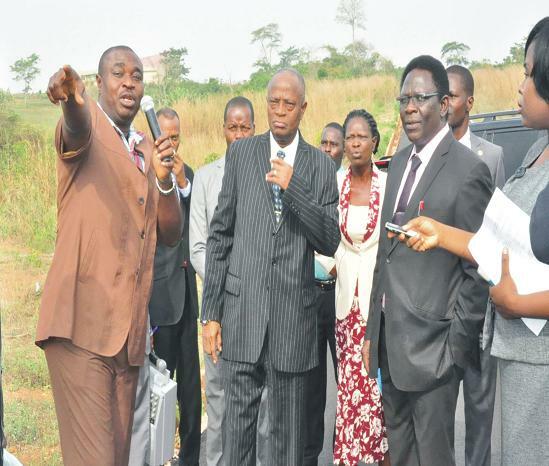 Coming home, how feasible do you think the clamour by FUNAAB to become a conventional University is? I am even more optimistic now, than ever before. My intention is not merely becoming a conventional University. That is not the intention, but I feel that FUNAAB should create more access to our young people who are craving for higher education. 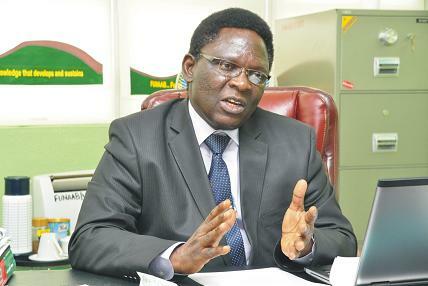 I also believe that FUNAAB should not just create any access, FUNAAB should not restrict the brain of our people, of our young ones in this environment to only agriculture, we should be able to promote the talents and interest of our young people in other areas of life, including Medicine, Law, even Arts. 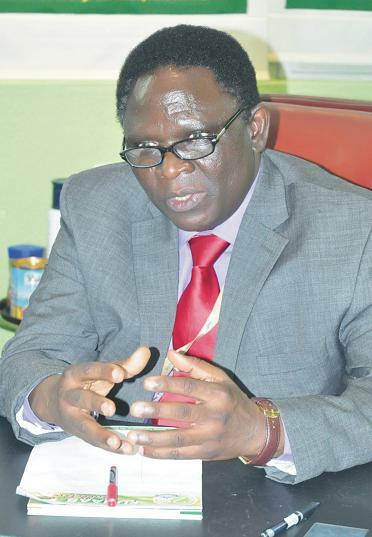 Recently, a sister University; University of Agriculture, Markurdi was given an opportunity by the Federal Government to set up a Faculty or a College of Health Sciences, where they can run degrees in Medicine. If that can happen to that University, I believe that our University too should be very hopeful. The University Management recently established the Centre for Innovation and Strategy in Learning and Teaching. What makes this Centre unique? There is a Centre called Webometrics and what they do is that they prepare the University to compete for Webometrics Ranking. I feel that as a University, we should go beyond that. My interest is not just to satisfy a particular ranking system especially when we know that there are many ranking systems in the country and that gives us the reason why our Centre for Webometrics has to translate into a Centre for Innovation and Strategy in Learning and Teaching. So, what we have just done is to give that original Webometrics Centre a bigger vision beyond what we started with. 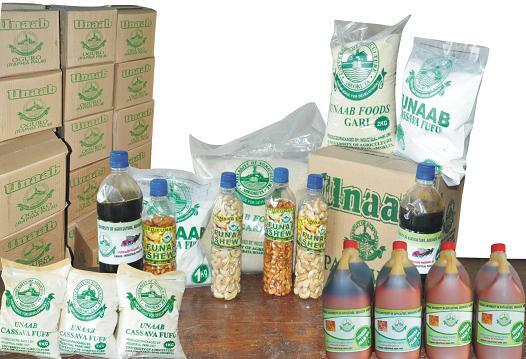 We are also aware that FUNAAB products like palm wine, cashew, cassava flour and the like, are available from time-to-time, especially during ceremonies in the University. Why are these products not readily available to the public like other commercial foods? Your observation is very correct. We have been producing at pilot scale level for so many years and we took some incorrect actions in the operations. For instance, over the years, the workers who worked on these production facilities were placed on the Universities Salary Scale and worked like Civil Servants. I believe that we may not be able to expand the scope of the production using this kind of orientation and that is why, within the past few months, we have been trying to re-orientate our strategy for the local production of our various products in the University. What we have done is that instead of saying that we have one single Industrial Park Unit, where all these products are produced together, we are transferring the products to different enterprises. We have been able to get about nine different enterprises and the intention is that we would equip the enterprises with workers and facilities that would help them to operate as private independent entities. What is the future of these enterprises? With what we are doing with those enterprises now, products of our University will not just be available during ceremonies or just within our University. One should be able to get to markets in Lagos, Abuja … and you would find products from this University competing with other products in the market. FUNAAB is replicating the Songhai experience in the University by establishing a FUNAAB Songhai-Modelled Integrated Farm. What are we to expect? I think that one new development in agriculture is agro-tourism and I believe that our University should become a leader in that field. What we have done is that we know that one of the things promoting agriculture now, is the model in Songhai Farm and that is what we are doing. 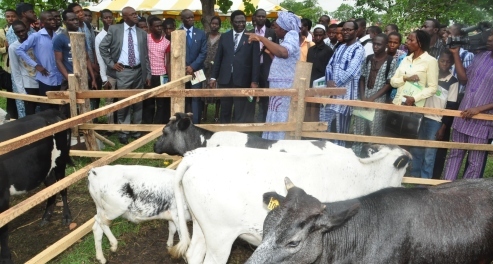 We just started the FUNAAB Songhai-Modelled Integrated Farm in our University. We can say that we are at the planning stage, but we have already started our activities. I believe that a time would come when people can come from different areas of life to this University, not just to enjoy our environment but to be challenged by its innovations in agriculture that would be found in the FUNAAB Songhai-Modelled Integrated Farm. It is obvious that the University is preparing for its forthcoming convocation ceremonies. Tell us about this, please. Yes, to note that this convocation coming up this year is going to be a combined one; That of the 21st and the 22nd. We were affected by the Academic Staff Union of Universities strike last year and this made it impossible for us to have our convocation, but we are combining both during this year’s convocation, coming up on June 21, 2014. The whole of the week, we plan to bring in some activities that we have not been having before. For example, we intend to have an ‘Open Day’, where parents would be free to come to our University to see our environment, to see our academics and to ask questions about our operations. That is novel to public Universities in Nigeria. 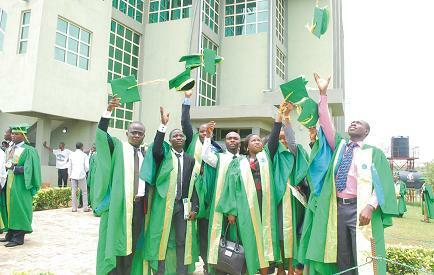 Why does FUNAAB want to do this? I think that we want to be innovative and we also want to involve our parents in what our University is doing for their wards; for their children. We also intend to have a research and agricultural fair, to showcase what is really making FUNAAB great at such a time as this. We have a day when we want to recognise our people who are contributing to the greatness that FUNAAB is recording at such a time as this and lastly, we have the final day on Saturday, June 21, the convocation proper. The unique thing about this convocation is that it is going to be very short and brief. We hope that we will make it a great day for young people, who are graduating. The VC seems not to be leaving any stone unturned in his fight against plagiarism. Are you not scared that you might be creating more enemies than friends for the office and the personality of the VC? I do not think that it is the VC really that is against plagiarism but the whole of the University. Our values for excellence do not accommodate plagiarism. One of our values, our commitment to the vision of being a world-class University demands of us to do things in the best possible way,a situation that prepares for this feat and that is why we do not tolerate and we do all our best to expose it wherever possible. I think it is a way of setting the pace for our nation. That for our nation to be great – for us to be competitive, to become a world-class and to have world-class institutions – our foundations should be such that it would not accommodate plagiarism and other vices. FUNAAB has enjoyed relative peace, especially with the Students Union. Some people believe that the President of the Student Union is a stooge of the Vice-Chancellor. Is that true? I think the peace that we enjoy with our students is not courtesy of the ‘stooge’ of the Vice-Chancellor. I think that our student leaders are becoming more matured than before. I also believe that the strategy that the University put in place to expose our student union leaders to leadership training programmes could also be one of the factors that are making them to be more matured. I believe that the focus of our University, to ensure that the quality of our graduates meet up with world standards could also be connected to this. I would say that God has given us focus, in the sense that in the past two years, we have had the grace of having very responsible student union leaders, who are not concerned about breaking things or violence but they are young people who are ready to be leaders of our country in the future. Every time I see the student leaders of this University, I think that I see in them, the future leaders of our nation.